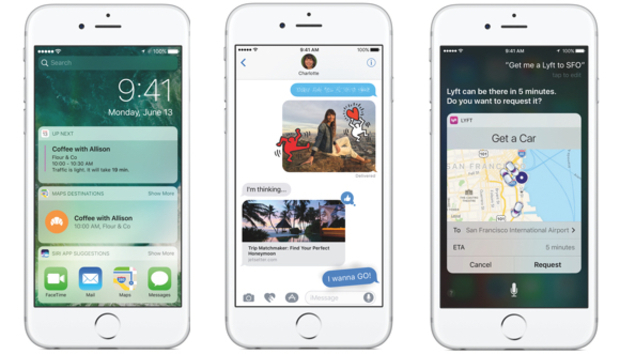 Along with macOS Sierra, Apple has unleashed iOS 10 onto the public. We’ve been playing around with iOS 10 for some time now, and Apple’s latest mobile software release has given us enough reasons to get excited, as well as some hidden surprises that are total game-changers. If you want to experience iOS 10, you can sign up for the Apple Beta Software Program. Just make sure to back up first and be aware that since this is beta, you’re bound to run into some bugs. Once you’re signed up and have installed the iOS 10 public beta, here are the first 10 things you should do. For your privacy, all of this facial recognition happens on-device using the iPhone’s internal power. This means that Apple does not cross-references faces with photos on other iPhones. With iOS 10, you won’t ever have to see Stocks on your home screen ever again. Apple’s latest release gives you the option to remove native app icons. You’re not uninstalling the app, however, just removing the Home screen launcher. Apple has pointed out that a native app’s main functionalities (and storage size) remain even if it has been removed from the Home screen, so that the rest of iOS doesn’t crash. You can now get these apps from the App Store if you want to use them again. This one is a big life-changer if you own a 16GB iPhone. The new iOS 10 will automatically let you know which downloaded song files are taking way too much space and remove them for you whenever you start getting low on storage. Go to Settings > Music > Optimize Storage to enable this feature. Here you’ll also be able to choose the minimum storage you want allocated to music downloads, from 4GB (or 800 songs) to 32GB (about 6,400 songs). According to Donate Life America, over 120,000 people in the U.S. are in need of an organ transplant that could save their lives. That’s why Apple has integrated organ donations into the Health app. When you first launch Health, you will be asked whether you are already an organ donor or if you want to sign up to the National Donate Life Registry. You can sign up later by tapping on your Medical ID tab. And know that your donor information is not sent to Apple.